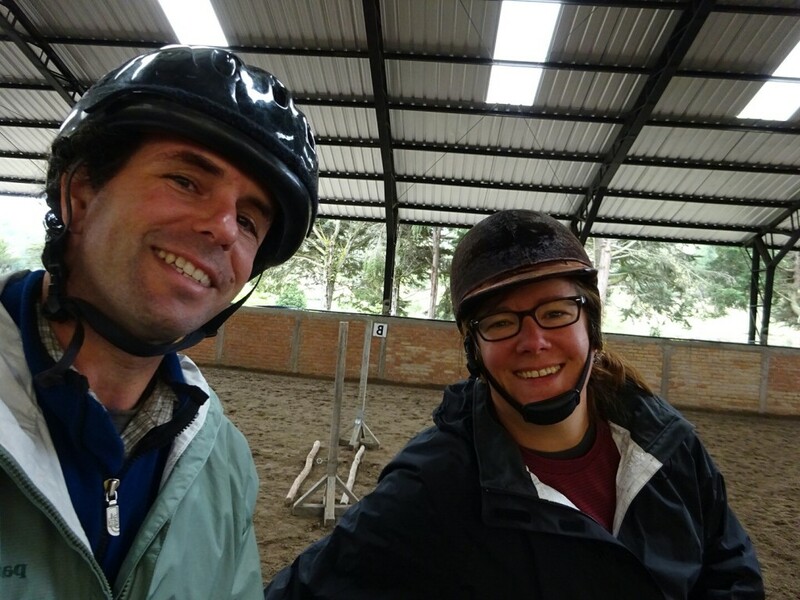 Birthday Re-Do Underway – Step 1 : Horseback Riding!! 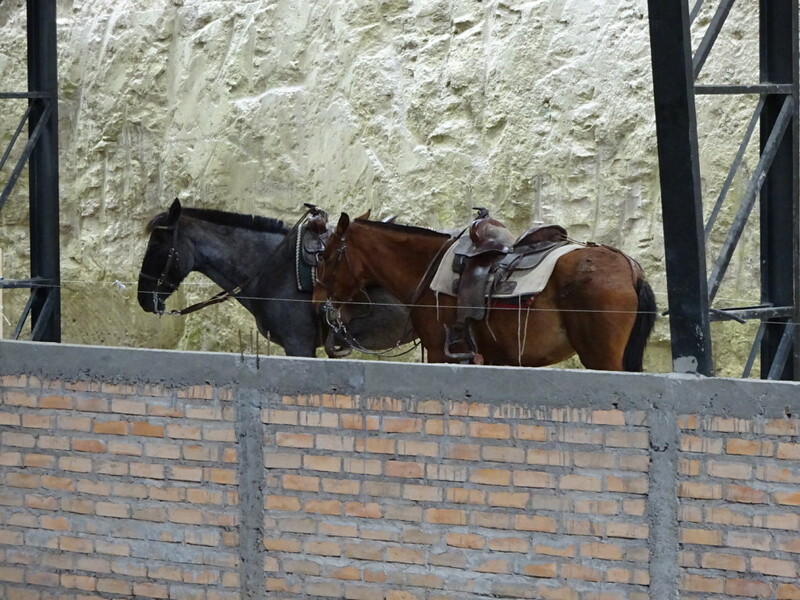 Posted on January 23, 2015 by No Map Required Posted in Ecuador, Places	. We were both a bit nervous and not excited to go in the rain. 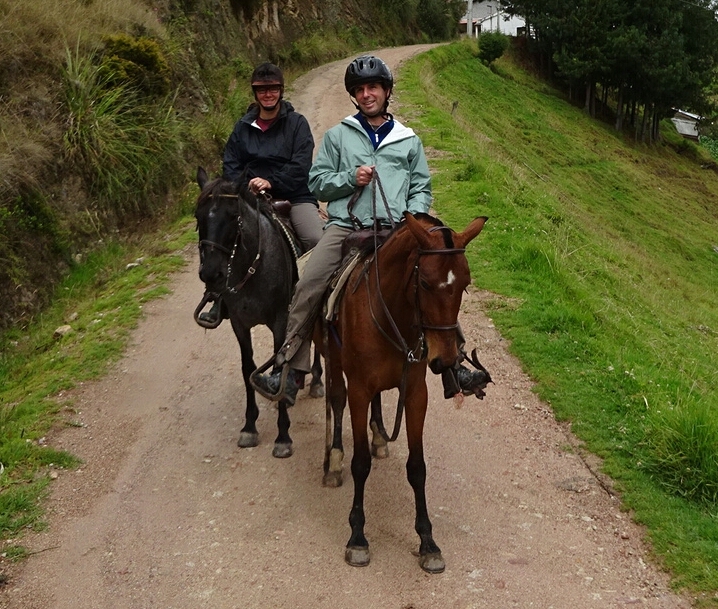 As it turned out, the rain stopped not too long after we saddled up — thaaaank goodness! I was assigned a horse whose name is “Lazy” in Spanish and they use him with four year old kids. He was PERFECT for me! I would describe my horse as one who “saunters at his own pace…marches to his own drummer…is not in a hurry“. Aaron’s horse was just a touch faster — apparently it is the horse used for five year olds. 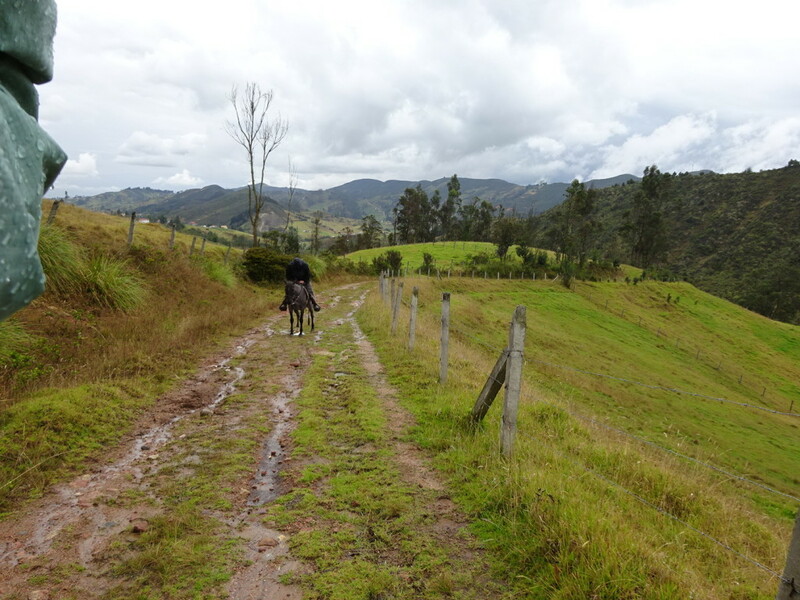 We were out for a little over two hours and went about 12 kilometers — up and down the hills on a dirt road…with a million dogs, puppies, cows, bulls and sheep along the way. It was really beautiful! 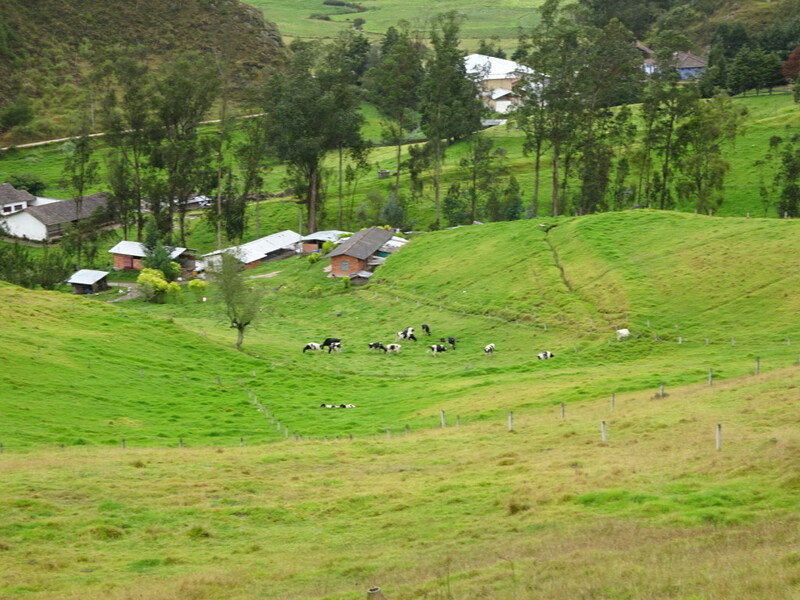 Bucolic is the right word. 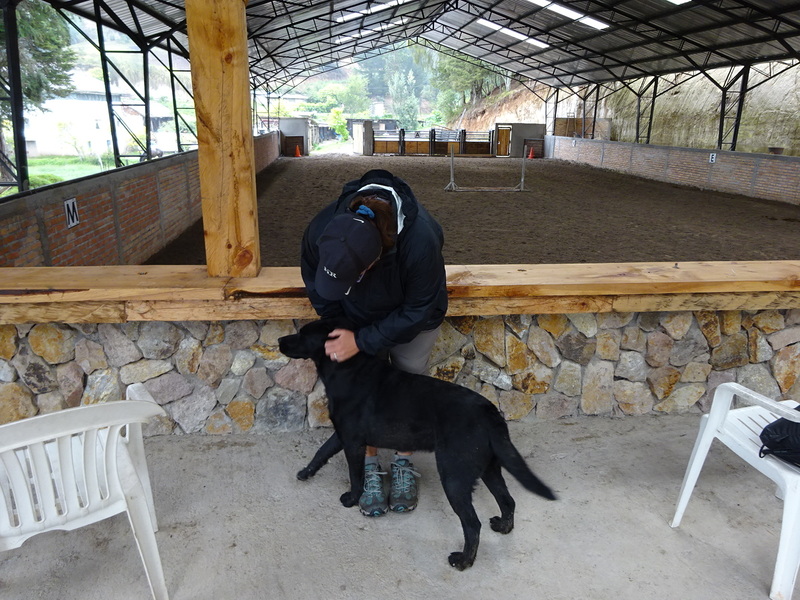 Juan Padilla, ranch dog extraordinaire, joined us the whole way. I love him and want to take him home with us…along with Doyle. 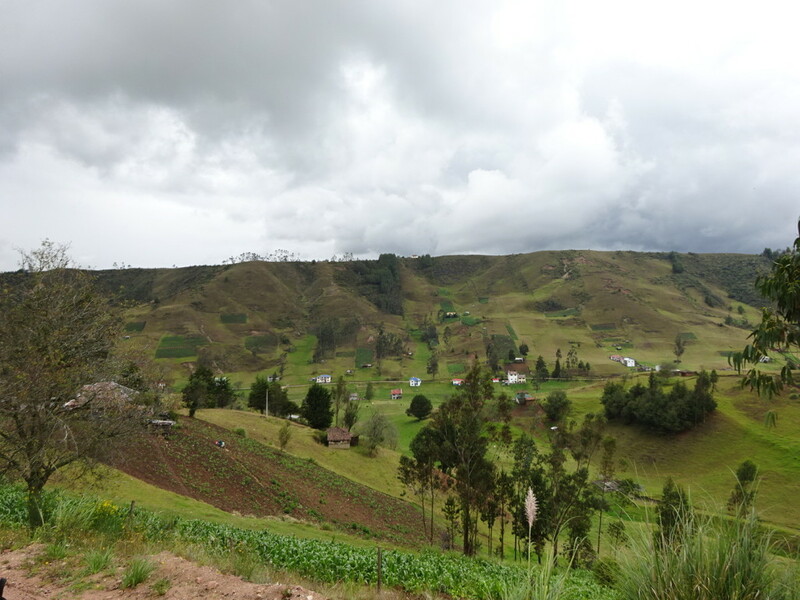 We had a really good time, despite our earlier trepidation, and I even uttered the words, “maybe we should stay in Cuenca one extra day so we can go again“. We’ll see about that! Oh, and if you’re curious, yes, we are stretching and I took some ibuprofen to fend off the worst of the soreness. More birthday re-do events to come on future posts! 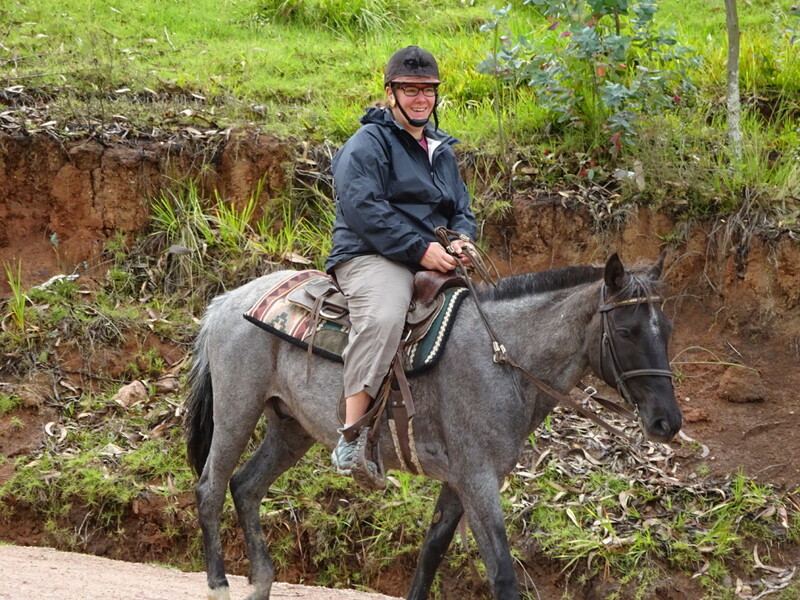 Aaron and his speedy horse… We’ll catch up soon enough. Told you, I’d make it! Good job Lazy horse! Juan Padilla and me. His head and paws are HUGE and he’s built like a tank. He was instantly friendly and followed us everywhere. I love him. Just back from our first ride! You can’t tell, but we are on our horses when we took this selfie. You two are just adorable!!! Ride on!!! Lazy kind of if looks like THE OLD GRAY MARE THAT AINT WHAT SHE USED TO BE! Oh I don’t know, she seems like all that to me! Anner, your horse is exactly my speed or maybe a bit too spirited. We rode mules down into the Grand Canyon, spent the night and rode up a different trail the next day. So sore. Glad you stayed with a 2 hour ride so you can walk afterward! Yep, it was the exact right speed! Though perhaps “lack of speed” is actually more appropriate. 12km…50km…it’s about the same, right? Right! We’re looking forward to it, too. Our booking forms should already be in your inbox!!! When Dennis worked at American Express, he was involved in a training session where he assumed an acting identify of a client – Juan Padilla. Now you meet the real thing! 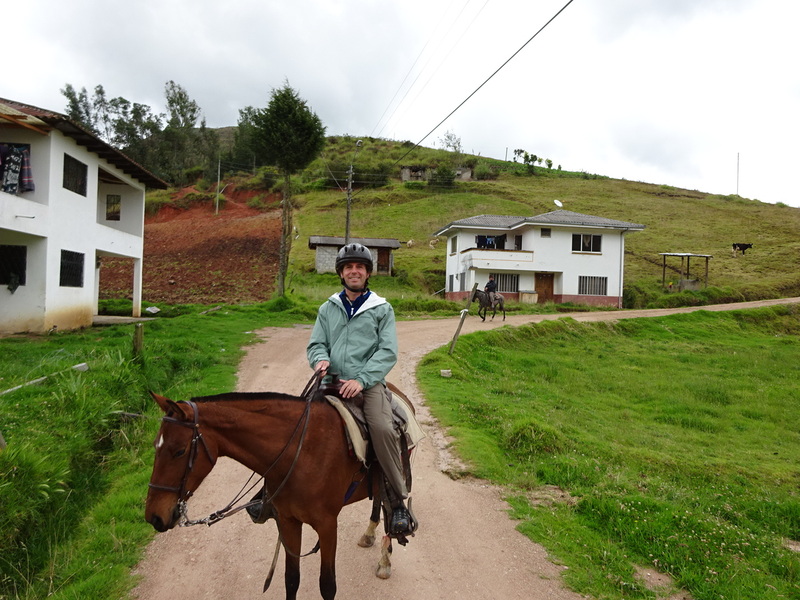 Before we went to South America, we also practiced horse back riding because there was a resort that had horse back rides. Then we didn’t go horse back riding but were in a jeep instead. I enjoy your episodes a lot!